We Interrupt this broadcast to share some silly talk. 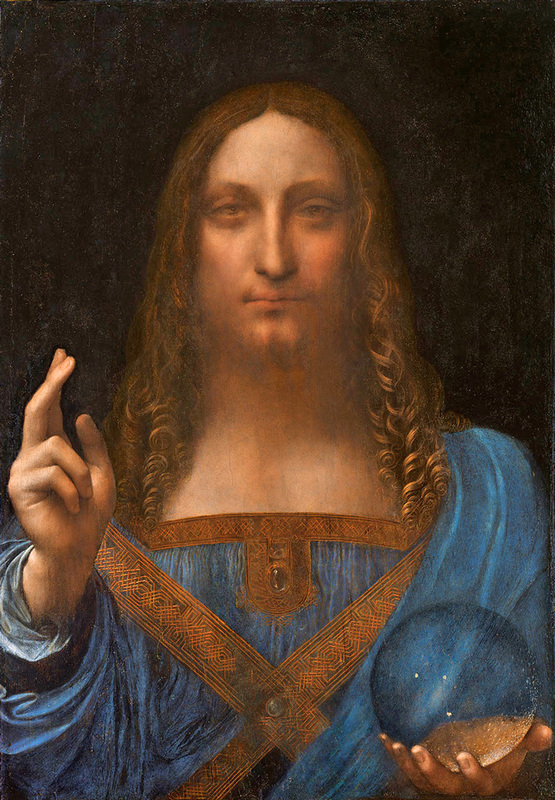 It’s attributed to Leonardo Da Vinci. 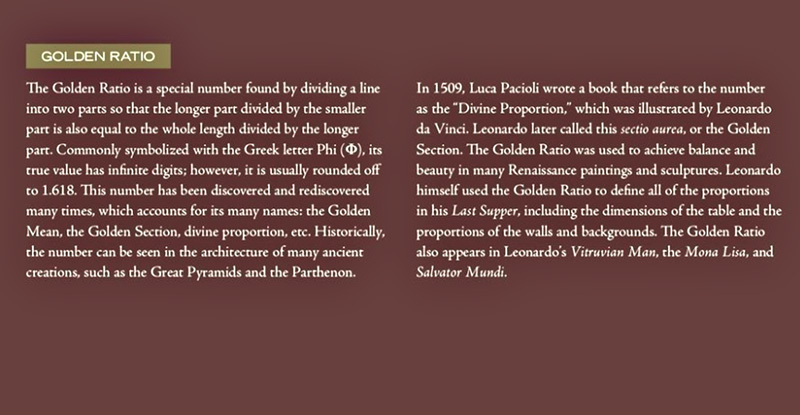 As you’ve seen, and will continue to see, we have considerable respect for Mr. Da Vinci. 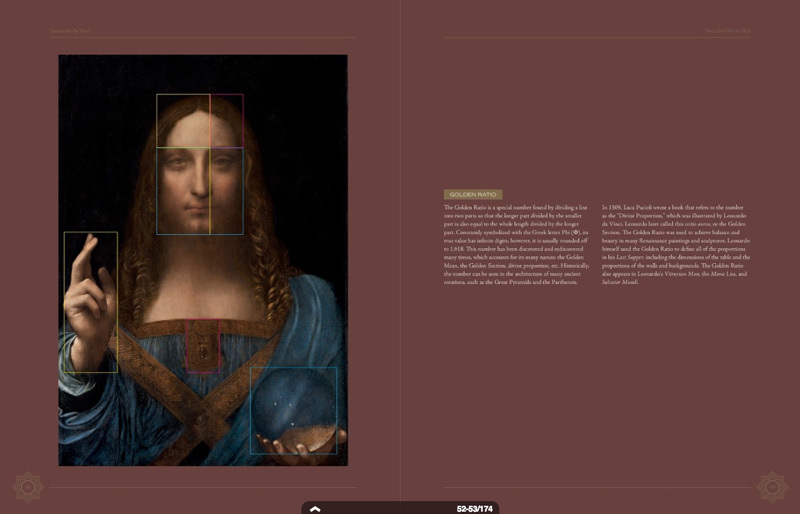 There are fair questions being asked about whether it is by Da Vinci. We won’t be questioning the authenticity of the work here. Well, we’ll see about that. 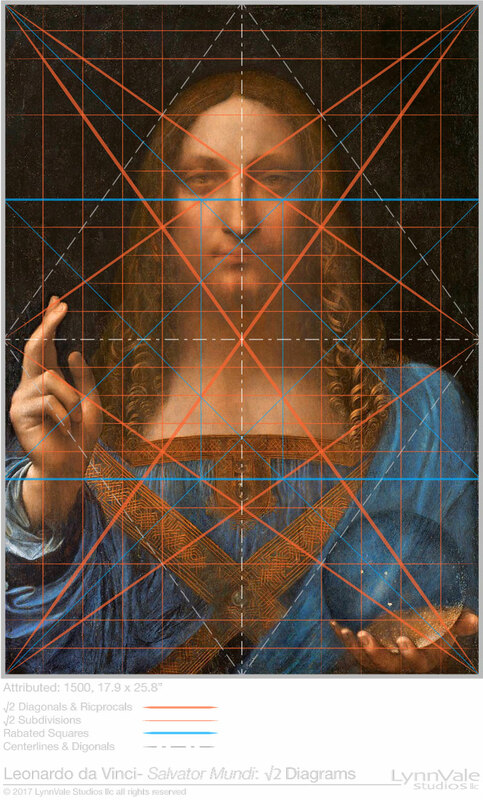 There’s nothing obvious about the Christie’s diagram except that you can find any ratio you want, on any object, if it does not have to relate back to the whole. Diagram 5 does not prove anything except, perhaps, that the experts on all sides could do a little more homework on this topic. * The substrate is a walnut panel that cracked and buckled (vertically) over the years. This would shorten the width of the panel. **Yes, the face diagram holds the other three (hand, orb & filigree). It just seems forced and unrelated to the whole.